There’s nothing the Recording Academy loves as much as handing out Grammys to a dead rock legend. Two years ago, David Bowie owned one golden gramophone; after he died last January, he was the proud recipient of six. Few look to the Academy to figure out what’s in fashion; it’s an industry institution whose primary function is to reward proven talent. But even taking this into account, its treatment of rock seems particularly backward. Out of the five nominees for Best Rock Performance this season, 40 percent are deceased. Assuming that the dead have homes to speak of, it’s a safe bet that either Chris Cornell or Leonard Cohen will take home the award; the smart money’s probably on Cohen, who won precisely zero Grammys (unless you count the “Lifetime Achievement Award” in 2010) compared to the two Cornell won with Soundgarden in 1995. So it’s tough luck for the blues-rock band Kaleo, whose only nomination came in the same category as two legends. Kaleo’s an outlier in more ways than one. Not only are they Icelandic, they’re also young: “No Good,” the single they got the nod for, is off their second album. Better fortune likely awaits the other two living contestants. 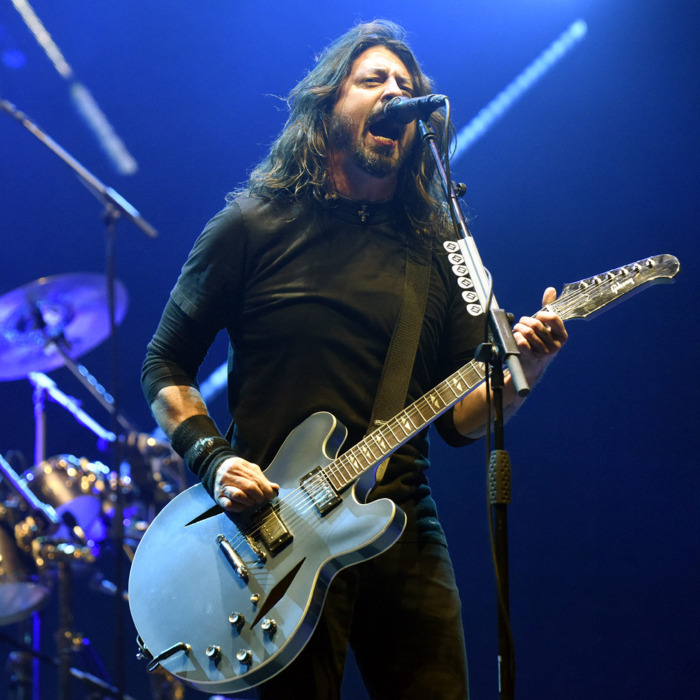 The Foo Fighters have been industry perennials for decades; their old-fashioned approach to mainstream rock has ensured their timely recognition by the Academy. Four of their albums have won the Grammy for Best Rock Album; till the release of their newest record, Concrete and Gold, this year, that meant that half of the LPs from Dave Grohl’s outfit were Grammy winners. Though the new collection somehow missed the cut this year, its single “Run” has been nominated in both Best Rock Performance and Best Rock Song, bringing their overall nomination count up to a staggering 29. If they take home a Grammy, it won’t be a surprise; if they don’t, it’s no great loss. Along with those two categories, San Antonio rockers Nothing More, all heavy riffs and think-y lyrics, are competing for Best Rock Album as well with their recent fifth album, The Stories We Tell Ourselves. As the middle ground held by bands like the Foo Fighters yields to the encroachment of metal, the only alternative becomes … well, alternative. The nominees for Best Alternative Album confirm what most listeners have sensed for a while. The center hasn’t held in rock for a long time; there’s no connection between the guttural inclinations and ferocious pace of metal and the more leisurely refinements and ironies of college-oriented rock. Arcade Fire, Gorillaz, LCD Soundsystem, Father John Misty, and the National exist in a different dimension from metal, and if they tilt toward other genres, it’s never toward harsh guitars. (Father John Misty wants to do comedy; Gorillaz reaches out toward R&B and hip-hop.) If the Grammy nominations are getting anything right about the state of rock, it’s not because the Academy has caught up, but because the evolution of rock has slowed down to the point where institutions can keep up with it. Rock is still reasonably endowed with thrills and thought, but it isn’t going to surprise anyone. It’s certain that no rock song is going to seize the imagination of the nation’s youth; rock’s become a niche genre, or rather two or three niche genres lumped under one name. Judging by the nominations, rock is whiter and more male-dominated than ever before; judging by the album sales of the nominees, rock is more marginal than ever before too. It’s no accident that there’s only one woman nominated in rock, and it’s no shock that that woman, K.Flay, owes at least as much to hip-hop than she does to rock, nor that she’s one of the youngest nominees in the field. Her track, the brooding yet driving “Blood in the Cut,” isn’t the most commercially successful in its category (Metallica’s brand name is too strong), but it is, far and away, the song that sounds most novel and most contemporary. (Just compare the videos for “Blood in the Cut” and Metallica’s “Atlas, Rise!” and guess which one feels more relevant.) If she somehow pulls an upset over older, more established acts like Foo Fighters, Metallica, Avenged Sevenfold, and Nothing More, it would be a rare encouraging sign that the Academy, however shackled to past achievements, can still look, with whatever geriatric sight it still possesses, toward the future.